Food businesses have surplus packaged food products and grains on their shelves and in their warehouses either due to excess production, introduction of new products, labeling errors, or due to shorter remaining shelf life. IFBN aggregates such good quality surplus food and distributes it efficiently and timely to the people in need. India Food Banking Network in collaboration with Rotary Club of Bombay Sea Coast collected and distributed 3510 packs of high quality cakes from Britannia just before Christmas to 3500 children in three BMC schools in Mumbai. 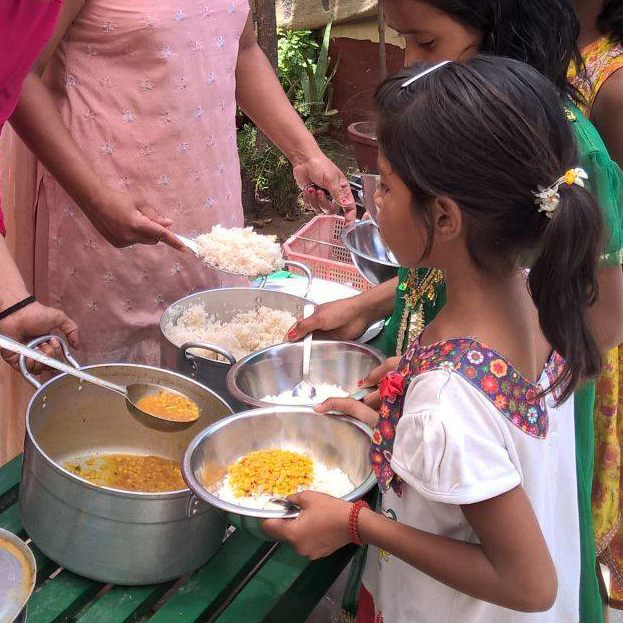 Kolkata FoodBank organized a feeding programme on the World Food Day at one of their partner schools.